What is the Dacia Sandero? At £5,995, the Dacia Sandero is the cheapest new car on the market – but is it worth considering? Dacia is a new brand on the UK market – essentially a budget sub- brand owned by French giant Renault but based in Romania. Dacia has just launched the Duster SUV in the UK – and now it’s bringing in a new supermini called the Sandero. With launch prices starting at just £5,995, the Sandero is a headline- grabber, as it’s the cheapest new car on sale in the UK. Yet it’s the same size as regular superminis like the Ford Fiesta, and its hatchback boot will swallow a claimed 320 litres, which is bigger than the new Renault Clios. Specification is pared right down to keep costs low – for instance, the £5,995 Access model doesn’t even have an audio system and only comes with white paint and black bumpers. The entry level is available on finance from as little as £69 per month. However, this base model is devoid of almost any creature comforts. In contrast, the most expensive 1.5 dCi Laureate Sandero, with air con and electric windows, costs £9,795. The Sandero made history for Dacia in January in one of the most important automotive markets in Europe. The new generation of Sandero managed to reach the first position in sales in Spain becoming the first Dacia model that was the best selling car in a country outside Romania. 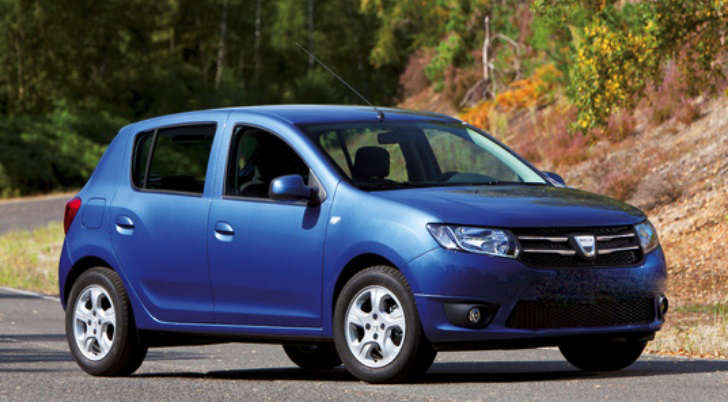 Every new Dacia is covered by a standard 3 year / 60,000 mile* warranty package. Your new Dacia also comes with a 2 year paintwork warranty, as well as a 6 year anti-corrosion warranty. Why not try a test drive today? Call Blackburn Motor Park on 0844 248 8449 for an appointment and more information.